For those statesiders who had been feeling left out having to wait until the end of March for the BlackBerry Z10 to launch, we have some great news. Frank Sickinger, who is T-Mobile's head of business sales, told Bloomberg on Thursday that the all-touch Z10 is more stable than the carrier anticipated. That means that the testing won't have to be as time consuming as thought and the nation's fourth largest carrier is now aiming at a mid-March launch of the BlackBerry Z10. Yes, we realize that is cutting just two weeks off the previous late March launch that was being discussed earlier, but the device has already launched in the U.K. and Canada and nothing is going to change that, so you might as well just be happy for the extra weeks you will get to spend with the device. And those who have been wondering about the Canadian firm's commitment to the U.S. shouldn't fret. The country to the south of Canada remains the focus at Waterloo, especially since the U.S. remains the number one market in the world for BlackBerry devices. While testing on U.S. carriers is more rigorous, what we all would never want to see or experience is a repeat of the BlackBerry Storm launch. T-Mobile is going to sell the BlackBerry Z10 for $199.99 with a signed two year contract and could help the operator grab some enterprise business away from the other carriers. 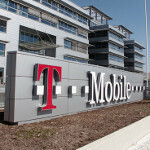 The T-Mobile-BlackBerry relationship appears ready to be solidified this year. T-Mobile's Sickinger put an exclamation mark on that thought when he said, "I’m glad to see BlackBerry launch a relevant product. BlackBerry stands to do very well in 2013 with T-Mobile." It will launch a month and a half after UK and Canada. Give it up for our US carriers!! I thought T-Mobile was just going to allow you to buy the phone and let you take it to their network? Subsidize phones should not happen anymore to avoid all this. does it really matter? who would possibly choose this? Name something it offers over the previous platforms. Glad I switched to ATT. They welcome all OEMs without prejudice. You mean they buy out all MAJOR OEM's to sell their exclusive flagships on their network. Lets use HTC as an example, up until 2012 the US carrier with the most High end HTC devices was T-MO, then AT&T decided to focus on Android a bit more so that ment the back then top dog HTC to be persuaded to focus on the larger(richer) GSM carrier. AT&T only welcomes OEM's w/ a big brand name that has recognition and a some years of history. T-Mobile doesn't discriminate when choosing a manufacturer, they've opened the door to many small start ups and under dogs like, Danger, Alcatel, Kyocera, Huawei, ZTE, etc. when the others didn't even bother giving it a second thought.